A pilot of calculated courage, 'Trap' entered the Navy when test pilots were more like stuntmen than engineers. Airplanes had not yet come into their own as weapons of war, and they had an undeveloped role in the fleet. His vision and leadership shaped the evolution of naval aviation through its formative years and beyond. When the threat of war in 1940 raised an alarm over the Navy's deficiency in aircraft-especially fighters-Trap was appointed to lead the Flight Test Section to direct the development of all new Navy airplanes. He played a key role in expediting the evolution of the two superb fighters that came to dominate the air war against Japan-the Corsair and Hellcat. After World War II, Trap returned as commander of the Naval Air Test Center to lead the Navy through the challenges of transitioning to jets. Trap was not only the first U.S. Navy pilot to fly a jet, but is also recognized for defining the operating requirements for carrier-based jet propelled aircraft. 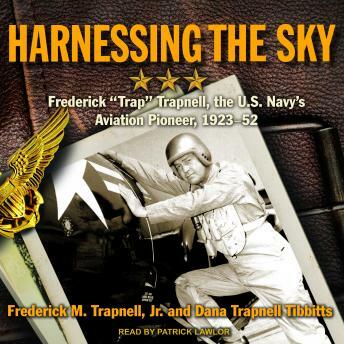 Over the course of two decades, Trap tested virtually every naval aircraft prototype and pioneered the philosophy and the methods of the engineering test pilot. He demanded comprehensive testing of each airplane in conditions and maneuvers it would face in wartime fleet operations.